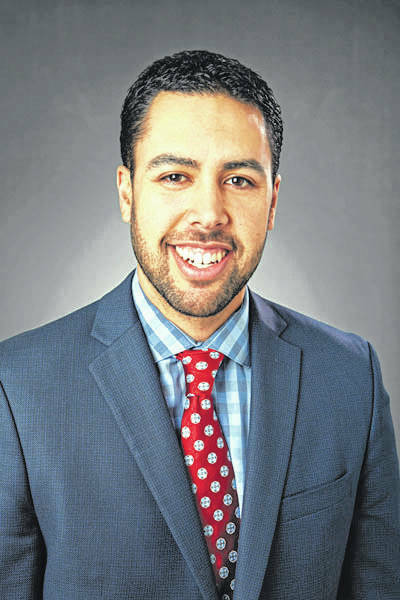 XENIA — Jared Keresoma is the new Vice President of Operations at Greene Memorial Hospital. Keresoma has been in healthcare for 12 years and enjoys every aspect of his new position. He originally began his career with Kettering Health Network at Greene Memorial Hospital in facility operations and is happy to be back. From facility engineering to food and environmental departments he had a wide-variety of experience within Kettering Health Network. His most recent experience was in patient financial services and customer service, rounding out his overall knowledge. He came back to Greene in 2017 as director of operations and was recently announced as VP of operations. Raising his three children in the Miami Valley, the former Californian feels at home in Ohio. He and his wife Christina enjoy their children and are part of their church leadership. The new VP wants to build on the good things going on at Greene and continue to promote the highest patient satisfaction and employee engagement. “I want to continue to build on our successes, focusing on all departments with a goal of the patient in mind,” he said. Keresoma feels that having Greene Memorial in Xenia – close to home for residents — is very important to the community. “We offer great, high-quality care right here in Xenia,” he said.